Yesterday, Nigeria turned 53. It is home to 170 million people of diverse cultural and ethnic origins. But how much do her own children know about their mother country? Below 13 important facts about Nigeria are listed. 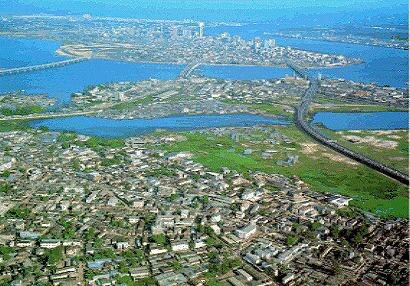 Nigeria is the 32nd largest country in world, with a land mass of 923,768 km2(356,669 square miles). The highest point in Nigeria is Chappal Waddi at 2,419 m (7,936 ft) in Taraba state. Late Benedict Odiase, a retired Deputy Commissioner of Police, composed the music of the national anthem. The words of the national anthem was composed by four Nigerians: Dr. Omoigui, John Ilechukwu, Eme Etim Akpan, B.A Ogunnaike, and P.O. Aderibigbe. His Excellency, Goodluck Ebele Azikwe Jonathan is the first PhD holder to occupy the position of the president of Nigeria. There are 124 universities in Nigeria: 37 Federal owned, 37 State owned and 50 private owned universities. The 2006 census put Nigeria’s population at 140,431,790 million, and in the year 2012, it was estimated 170,000,000 Nigerians have been living in the country. The name Nigeria was coined by Flora Shaw, wife of Lord Lugard, a British colonial administrator. Nigeria is the most populous country in Africa and the seventh most populous country in the world. On 1 January 1901, Nigeria became a British protectorate, part of the British Empire. On July 6, 1967 a 30- month war begun with a long siege of Biafra and its isolation from trade and supplies. It ended in January 1970. Nigerians went through 33 years of military rule (from 1966 until 1999). Ever heard of the Ship House? That is the name of Nigeria’s Defence Headquarters.